As we approach the Solar Eclipse next week, a situation that you may have been trying to ignore, will no longer allow you to do so. You have probably already been aware of the existing tension, and will want to figure out some sort of remedy, recognizing that things cannot continue to go on as they have in the past. If needing to make changes, try to also take into consideration what is the greater good for everyone concerned in order to not make any mistakes. However, do realize that any big changes that occur while Jupiter is in Scorpio (and now stationing direct), are ultimately for the best, even though they may not appear to be so at first. Another added bonus with Jupiter direct station is the promise of some sort of healing. This can come about simply by looking at the bigger picture. But it could also come about through some sort of radical change in perspective, that allows you to see things in ways that you had never considered before. Another added bonus is a financial offer or opportunity, either to you or your partner, that could benefit you both in some positive way. On Monday your ruling planet, Venus, enters the sign of Virgo, a sign that is harmonious with Taurus. The next month brings you more in alignment with those people and things that stir your heart strings, make you smile, and fills your heart with joy. That includes the things that you ‘do’, such as work, your daily chores, and activities. You will find yourself more invested with putting your heart into everything you do. There could also be opportunities to make new connections, do things a little differently and maybe go off the beaten track. Look for something or someone different to light up your life next week. Relationships in general should improve with Jupiter’s station this week. You seem to be naturally drawn to those people who will help you to fulfill a larger vision for the future, and partnerships established over the next several months are bound to be mutually beneficial. With the Jupiter station this week, you could find yourself having to juggle more than a few things at once. The sense of optimism that the station brings should be able to carry you over any potential conflicts, but you could also get carried away in the moment. Make sure you get all the facts and details in order first, in order to avoid any errors in judgment. Or you could just find yourself running around in circles trying to get everything done. Changes at work, although positive, could involve some sort of learning curve or adjustment. But it could be well worth it, freeing you up for better opportunities and possible advancement, if not now, then further on down the road. It could be that an opportunity that had been put on hold earlier in the year, is now looking like it might be fulfilled. This is a week of mixed blessings. A Grand Trine in Water creates a cradle of protection and support earlier in the week, but the pressure of the upcoming Solar Eclipse next week could also bring pressures to bear over the week that can no longer be ignored. But that Grand Trine can not be taken for granted, especially with Jupiter stationing this week. Recognize that guidance and support will be there as needed. Jupiter has been aiming for you to expand your horizons and expectations, but not in a way that is uncomfortable for you. Rather it’s about being more comfortable and honest with yourself and others, about what, or who, makes you happy. And because you can be more honest with yourself, your relationships with others also have greater potential. Something that may have been put on hold back in March, now has a greater chance to flourish going forward in the months ahead. You stand here faced with so much potential. You may not even know where and when to begin. And you may not even be able to begin right away. It is enough to be where you are right now, and avoid taking on too much too soon. You will probably have enough on your plate as it is. The focus this week is on your personal life, with a desire to decorate, expand or improve your living situation. The key is in focusing on making your personal life more secure, and more stable. To cultivate a sense of family, emotional support, or community. These are important not only for your emotional well-being, but also your physical health, which comes under scrutiny with the upcoming Solar Eclipse. The Sun could be shining a light this week on any existing wounds or health issues, that can no longer be ignored. Or perhaps a work situation. Having that community and support system will make all the difference in the world. As Jupiter slows for its direct station, you will find your mind on much bigger issues and more long-range plans. But with your focus on this bigger picture, you also have to pay attention to the very important details that could get lost in the shuffle. In your enthusiasm you will also have to remember to dot your i’s and cross your t’s. It is time to apply that Virgo capacity for detail, in order to counter this tendency, or you may find yourself over-extended and scattered. Try to keep obligations within perspective, and doable. It could also be that there are just so many pieces, all over the place needing to be put together. Your willingness to see things from another perspective could bring creative ideas and solutions. And you’ll be amazed how much cooperation and help there is with even a modicum of charm, gentle coaxing and a bit of loving persuasion. The more open you are to any new ideas, and new perspectives, the more you will benefit. Your ruling planet Venus enters Virgo on Monday, taking you temporarily out of the limelight as you sort out some of your priorities. You might want to ask yourself, what are those things and people that you would be willing to sacrifice your own needs for, at least for now, remembering that whatever sacrifices you do make should be unconditional, without expecting payment or reward in kind. Distractions this week, could take you out of yourself for a bit, allowing you to have a more objective view, or at least a different sort of perspective. 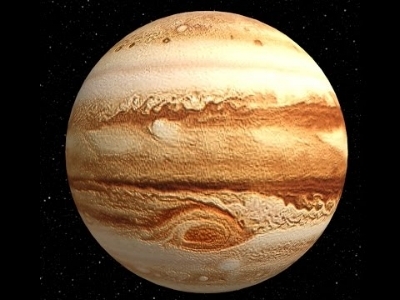 As Jupiter stations, and finally begins to move forward again, some sort of financial opportunity that had been put on hold, may finally be able to come to fruition over the months ahead. Jupiter promotes growth, and anything you value has the potential to grow at this time, perhaps in ways that you had not even anticipated. You are still needing to weigh your priorities and keep things in perspective. Some hard decisions may need to be made over the week ahead. Jupiter is symbolic of our big vision for the future, and as this massive giant appears to move forward again, you will find yourself meeting this vision with a sense of anticipation and optimism. Hopes or plans that had been put on hold, will now be allowed to proceed. Jupiter traveling in your sign is asking you to grow in some very relevant way, to expand your choices and grow beyond your horizons and previous expectations of yourself. With your focus on this larger vision that is unfolding, you will also want to make sure to pay attention to the details, in order not to make any mistakes. It is one thing to make promises, it is another to make sure that you can fulfill them. As we approach the Solar Eclipse next week, you could find yourself drawn into intense encounters with others. This could be an opportunity to clear the air. It could also prove to be something of a tipping point. If your focus is on the greater good, then no harm will come, and you may even find yourself enlightened in some significant way. What you are learning while Jupiter is in Scorpio is extremely important for your sense of self and well being. Many things, perhaps from the past, perhaps things tucked away in the back of your mind that you had not fully reckoned with, are now able to safely emerge. As Jupiter is now stationing and about to move direct again, the potential for healing and redemption is well nigh. Jupiter here is helping to break down any limitations, and allow you to finally break free in some remarkable way. Sometimes all this takes is a change of perspective, but it can still feel incredibly liberating and freeing. Sometimes more so! With your mind on bigger issues, and more long range plans it will be easy to miss some very significant facts and details. Keep your eye on the big picture, but don’t ignore those important and necessary details. As we approach the Solar Eclipse next week, it is time to pay attention to the parts of our lives that need mending and healing. The Sun will be shining a light on any painful circumstances that you’ve been trying to ignore. This could also bring you into some intense interactions with others, which could either feel like a power play, or something even deeper. The eclipse could be something of a tipping point, when it becomes evident where you need to make any major changes, once and for all. So long as these are for the greater good, there is no fault in this. Now that Jupiter is slowing for its direct station, you may be asking yourself, now that you have made some moves in a certain direction, what is your next step? Keep your eyes peeled over the next few months for opportunities through a friend or an organization you are affiliated with. It’s time to think about networking and reaching out to connections. Much benefit can come through these. With Jupiter stationing in the sign of Scorpio, many will find themselves revisiting a goal for the future that had been previously put on hold. You may find, now that Jupiter will appear to be moving forward again that circumstances allow you to proceed with your plans. Or perhaps a new opportunity is presented to you for your consideration. Confidence can also increase over the next few months, meaning that you are now ready to take advantage of offers that you might have previously overlooked. Focus on the big picture, as that is what is being asked of you right now, but also do not neglect all of the little details that are necessary. You also want to make sure that you have all the facts before you make any major decisions, and that people truly mean what they say. Avoid any impulsive decisions! Once that is all settled, then you can safely move forward to embrace the future that awaits. As your ruling planet Jupiter slows for its direct station this week, it is also making a harmonious trine to Pisces modern co-ruler, Neptune. This cannot help to benefit Pisces as we move through the next few months. As a result a vision or hope for the future that had been put on hold earlier in the year, may now have the opportunity to finally be fulfilled. The main motivation while Jupiter is in Scorpio is a desire for Pisces to expand your knowledge, your understanding, and to literally improve your mind in some way. This understanding allows you to see things from another point of view, leading to some significant insights and truths about who you are, and your place in the scheme of things. This is a time for maturing, becoming wiser and better informed, especially if you are open to new ideas. Your mind is on a bigger vision earlier in the week. Just remember not to neglect the important and necessary details that would then allow that vision to become a closer reality.